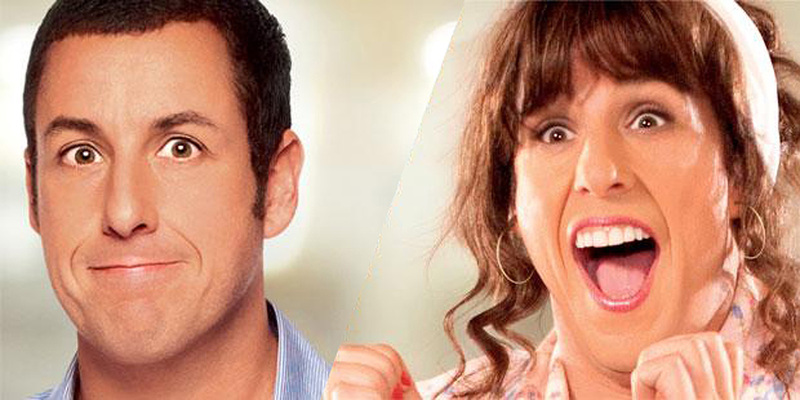 Adam Sandler's twin sister is coming for the holidays...and it aint pretty. Columbia Pictures presents the outrageous comedy “Jack and Jill” from director Dennis Dugan and starring Sandler, Katie Holmes and Al Pacino. For Jack (Sandler), that’s his sister – his twin sister – Jill (also played by Sandler). Growing up, their lives were incredibly intertwined. But ever since Jack moved away, they have moved in different directions. Jack has become a highly motivated and successful ad executive in L.A., while Jill was the one who stayed back east and took care of their parents. Now, they see each other only once a year, at Thanksgiving, when Jill comes to L.A. for a visit. Time and distance have taken a toll on their relationship – and now Jack finds himself enduring Jill’s annual visit, rather than enjoying it. And adding to Jack’s stress is the fact that things aren’t going all that well at his ad agency. His biggest client, Dunkin Donuts, is demanding that Jack deliver Al Pacino to perform in a new Dunkaccino commercial. Jack wonders how in the world he is going to get Pacino – does he even do commercials? – and his quest is intensified when he finds out that the famous actor is having a nervous breakdown and losing his mind. Having played one too many roles, the actor is starting to confuse reality with the parts he is playing and is acting out in some increasingly erratic ways. When Jack takes Jill to see the Lakers, he approaches Pacino about the commercial, but is stunned when Pacino is much more interested in talking to Jill. It turns out that Jill reminds Pacino of everything he left behind – his boyhood home in the Bronx, his childhood – and for Pacino, who is preparing to play Don Quixote on stage, something clicks. Because he’s having trouble with reality, suddenly, Jill isn’t Jack’s wacky sister… she’s Dulcinea, Don Quixote’s idealized romantic love – and Pacino must conquer her affections to realize his quest. Trouble is, Jill isn’t interested. But Pacino will not be brushed aside so easily. Inviting himself to Jack and Jill’s surprise birthday party, he sweeps Jill off her feet and takes her for a private party at his home – but Jill still isn’t biting, which only inflames Pacino’s passion (and insanity). It’s not clear who’s more upset – Jill, from the experience, or Jack, who thinks his chance to get Pacino could be over, or Pacino, who is completely losing it for Jill. For Jack, now the shoe is on the other foot: he has to try to convince Jill to extend her trip even further and give Pacino one more shot. It’s a move that sets in motion a wild, outrageous series of events that reveals to Jack who the most important people in his life are – and have always been.